Abstract from a letter concerning the writing of a Torah scroll of Moses ben Mordekhay Zacuto. 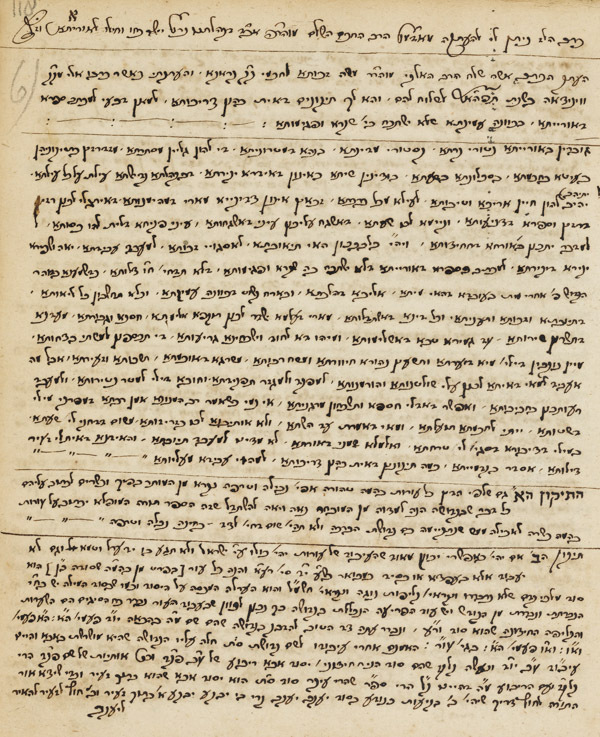 Abstract from a letter concerning the writing of a Torah scroll of Moses ben Mordekhay Zacuto, copied by Pinhas Bemali (? ), c. 1760. Hebrew / Paper / 21,1 x 17,6 cm. / 3 ff. (and 3 blank ll.) / Ashkenazic cursive writing with square headings / The text is not finished.